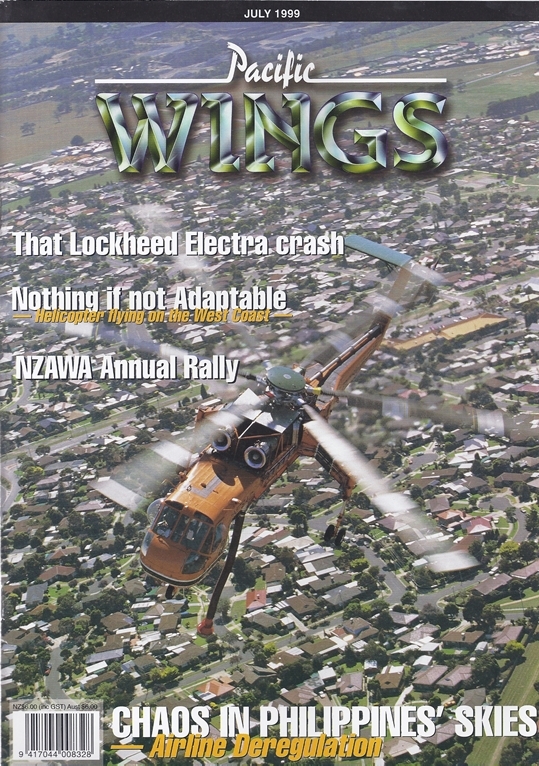 Fiona Hutton Reports On The New Zealand Association Of Women In Aviation's National Flying Competition Held At Motueka. Murray Kirkus Looks Into The Dark Side Of Airline Deregulation. The Last Boeing 747-200 Has Been Withdrawn From Operations With Air New Zealand And The Flight Engineer Is No More. Peter Clark Accompanied The Crew On Their Last Flight. A Loot At Victoria's Department Of Natural Resources And Environment Aerial Was On Bush Fires. The Venison Industry Stagnated, Sphagnum Moss Production Is Drying Up. Between Karamea In The North Of The West Coast And Haast In The South There Are Ove Thirty Helicopter Operators. Graham Charles Looks At One Way A West Coast Helicopter Pilot Has Adapted To Keep His Business Aloft. Time To ""Hang Up The Headphones"" - Retirement From Flying. No 205. Helicopter NZ's Nelson-Based Eurocopter As 350Ba Squirrel Flown By Dave Sowman On A Fire-Lighting Sortie On The Owen River Forestry Block. Peter Mercer Photograph.